The brain can't engage in social and mechanical reasoning at the same time. I've got two questions for you. 1. 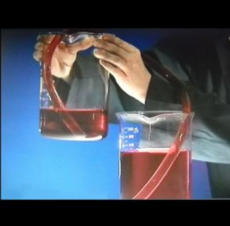 Would water flow if there was a large hole in the tube? 2. Does he think that she is angry? Did your head feel any different while you were solving each problem? If so, that's because deep within the recesses of your cortex two different brain networks were battling with each other for control of your attention. Only one won. 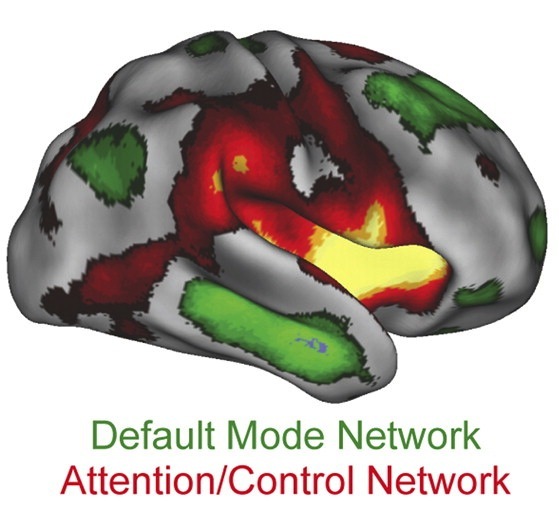 In recent years, neuroscientists have identified two opposed brain networks: the default mode network (DMN) and the executive attention network (EAN). The standard view is that the DMN network is involved when we are engaged in internally focused tasks such as recalling deeply personal memories, daydreaming, sleeping, imagining the future, and trying to take the perspective of others. In contrast, the EAN network is thought to be involved when our attention is directed outward, and we must exert control over our limited attentional resources. For instance, the EAN is highly active when people are taking IQ tests (see here). When the DMN network is active the EAN network is quiet, and when the EAN network is active, the DMN network is quiet. But why? In a recent study, Anthony Jack and colleagues argue that the crucial distinction between the two networks isn't internal vs. external attention but information processing. In particular, they argue that the DMN is associated with social information processing (reasoning about the minds of others), whereas the EAN network is associated with non-social information processing (reasoning about physical objects). To test their hypothesis, they presented participants with social and physical scenarios (text and video), and asked them to predict the outcomes. The social scenes resembled soap operas, and were rich in emotional and moral content. In contrast, the mechanical scenarios described puzzles similar to the kind found in popular scientific puzzle books. While participants were thinking about the scenarios, their brains were being scanned by an fMRI machine. What the researchers saw in the brain supported their theory. When people were reasoning about mechanical objects, the EAN brain network was activated and the DMN network was suppressed. In contrast, when people were engaged in social reasoning, the DMN network was active and the EAN network was supressed. These findings suggest we may have two fundamentally different versions of external reality that are constantly competing with each other for control of our perceived reality! After all, both tasks required external attention, were unfamiliar to the participants, and minimized the activation of personal memories. 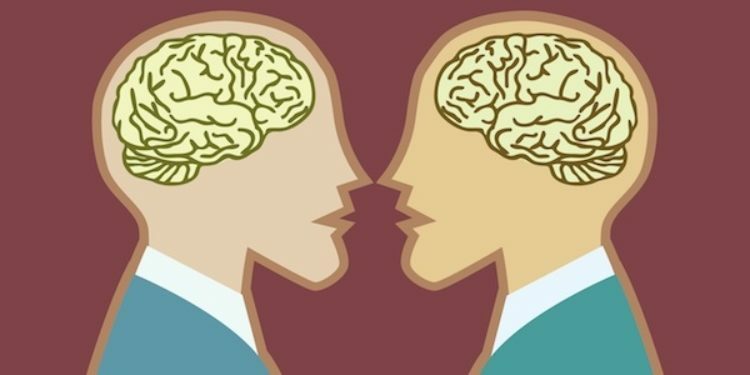 It appears we may have two main modes of thought, one that focuses on social interactions and the mental states of others, and another mode of cognition that focuses on inanimate objects and the physical principles that make them work. 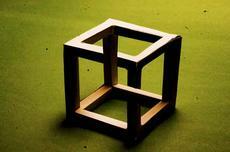 Like the Necker cube, both modes of thought can't be engaged simultaneously. The researchers suggest that the key is "cognitive context". Our primary mode of cognition in any moment in time has a powerful effect on the entire brain. 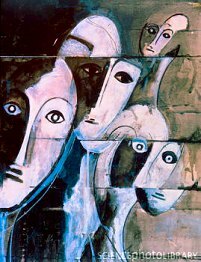 When we must reason about the mental state of others, the brain recruits DMN resources and inhibits other brain networks. In contrast, when we must reason about physical objects, our social brain is shut down. This research is consistent with prior studies that have found that solving math problems suppresses empathy (giving charitable donations). The results are also consistent with dual-process theories. According to my dual-process theory of human intelligence, human intelligence consists of two main types of cognitive processes: Goal-Directed and Spontaneous. 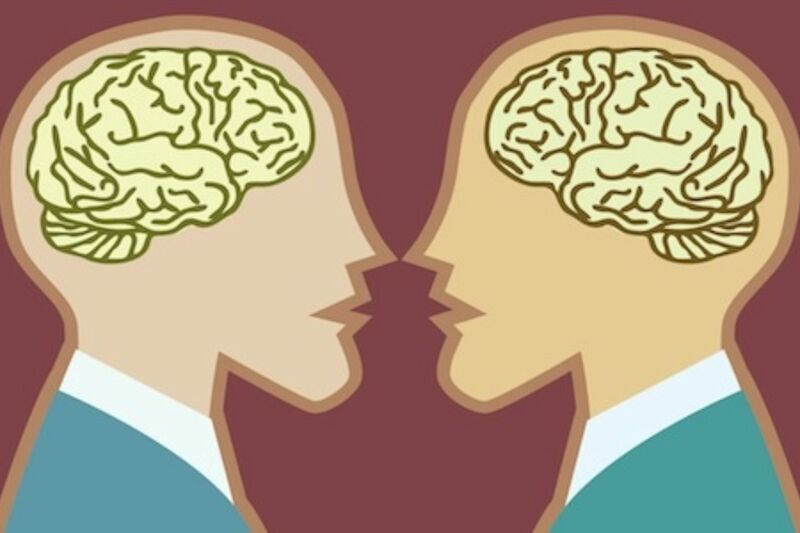 According to the theory, neither mode of thought is universally more "intelligent" than the other. What's important is context. "It would be no less foolish to suppose that a person will continue in motion in a straight line unless acted upon by an external force, than it would be to suppose that a pool ball will alter its course because it wants to go into the pocket." The mental representation of other people's minds and emotions is tightly linked to moral concerns (see here). Jack and colleagues argue that the inhibition between domains is driven by the need to differentiate members of our moral circle from objects suitable for manipulation. In terms of effective strategies, it would be a mistake to limit the actions one is willing to perform on an inanimate object out of a sense of compassion. They believe that antagonism between domains reflects a powerful human tendency to differentiate between conscious persons and inanimate objects in both our attitudes and modes of interaction. 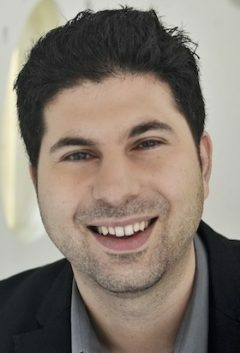 There are widespread implications of these findings for our emerging understanding of different kinds of social minds, including autism and schizophrenia. For most people, our evolved brain networks automatically know when it's appropriate to come online and when it's best to lay dormant. For some people though, there isn't this automatic switching. For instance, those with autism have been shown to have an underactive DMN and an overactive EAN, which can lead to overthinking, a fascination with how objects work, and a lack of awareness of social subtly. In contrast, those with schizophrenia have been shown to have an overactive DMN and an underactive EAN, which can lead to overinferring people's intentions, disordered thought, and a breakdown of the boundary between self and other (see here for a review). I think the jury is still out on how best to characterize the difference between the DMN and the EAN brain networks. The internal vs. external attention distinction may still be the correct one, especially considering how many people with altered brain networks report feeling literally trapped in their own heads. Nevertheless, I look forward to future research on this important topic, as it is sure to shed light what makes us human, as well as what makes us each unique. © 2012 by Scott Barry Kaufman. Follow me on Google Plus or Twitter.